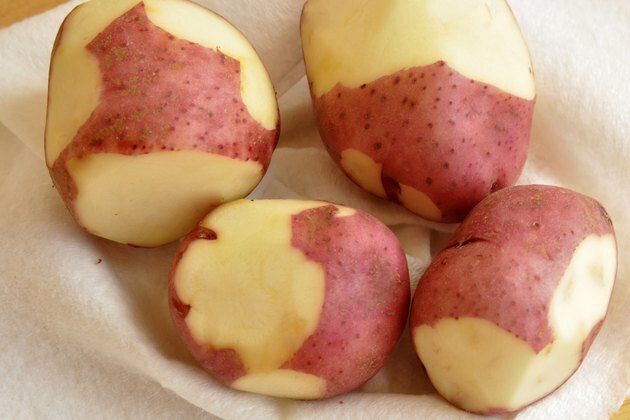 Red potatoes are the most common variety of potatoes in the United States and sometimes are referred to as new potatoes. A baby red potato is harvested when the potato is still small. It has red skin, is typically very smooth and is full of flavor. The baby red potato absorbs the flavors you cook it with effectively and is also tasty standing on its own. 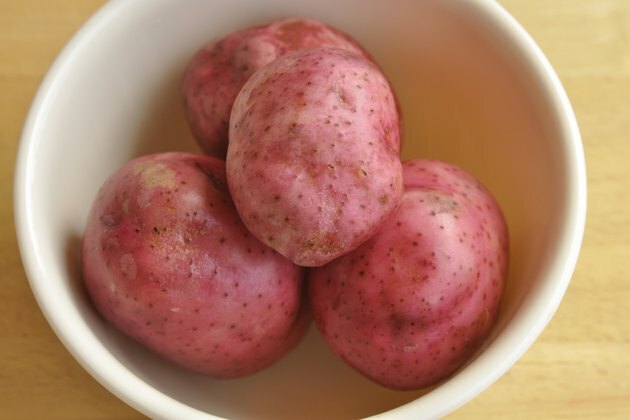 Baby red potatoes do well boiled or sauteed and can accompany a variety of dishes, such as meat or fish and vegetables. 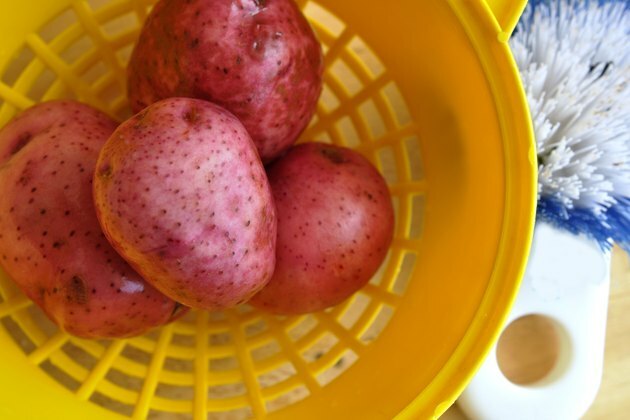 Wash the baby red potatoes under cool running water using a vegetable brush to remove any dirt. 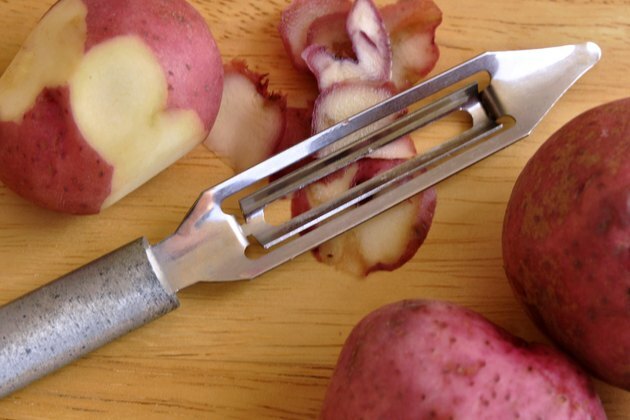 Remove any visible bad spots with a vegetable peeler. Dry the potatoes with paper towels and set them aside. 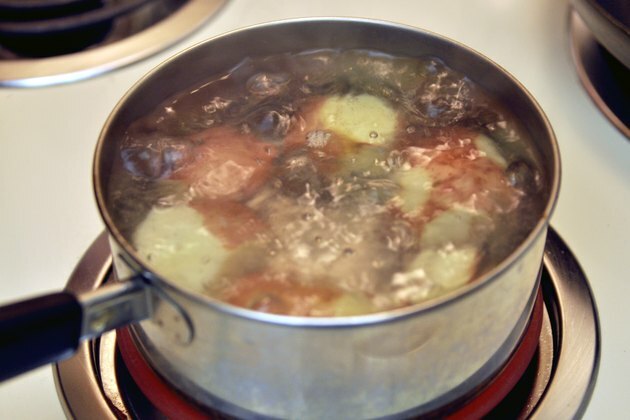 Place a large pot three-fourths full of water on the stove over high heat. Put the potatoes in the pot and bring the water to a boil. 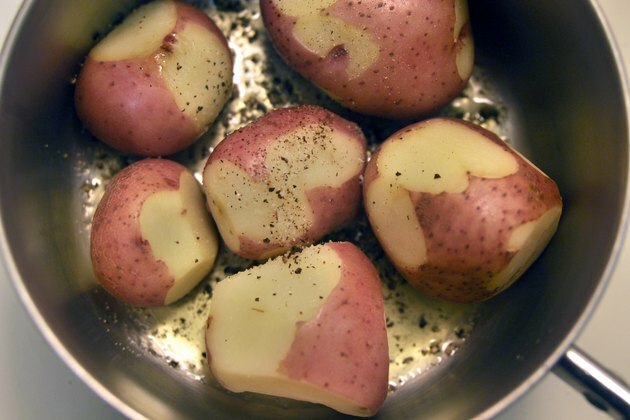 Boil the potatoes for 10 to 15 minutes or until they reach the tenderness you desire. 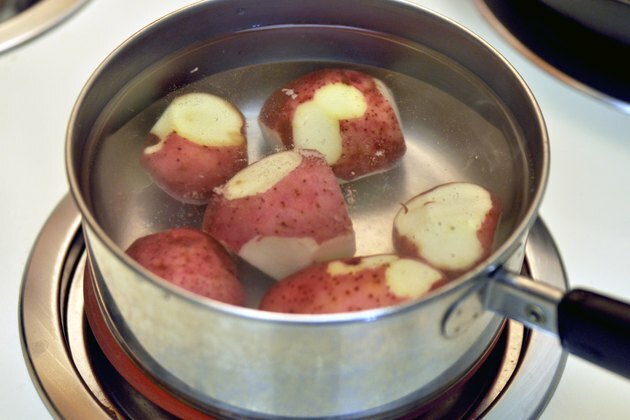 Drain the water from the pot using a colander and transfer the potatoes back to the empty pot. 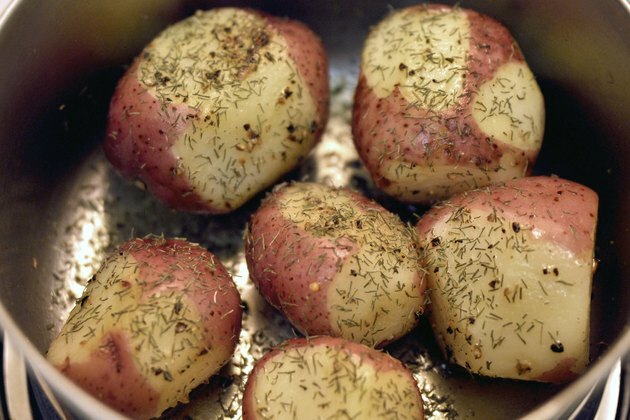 Drizzle the boiled baby red potatoes with olive oil and sprinkle the potatoes with salt and pepper to taste. Season the potatoes with 1 tsp. of dried herbs of your choosing, such as basil, rosemary, dill, parsley or thyme, for every dozen potatoes or 2 tsp. of fresh, chopped herbs. 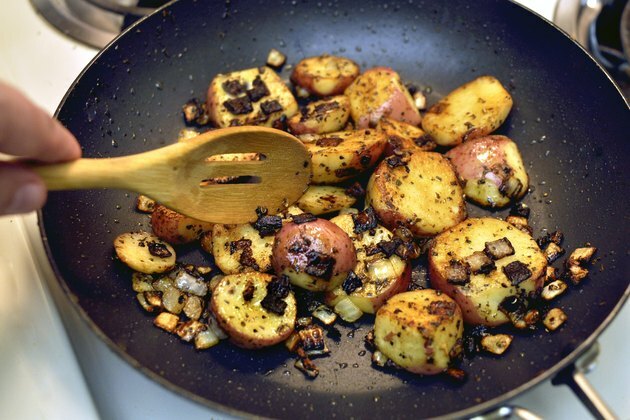 Toss the baby red potatoes to distribute the oil and seasonings. 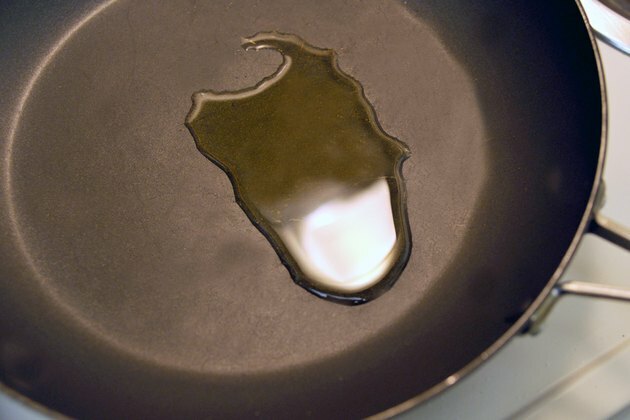 Preheat a large skillet with 1 tbsp. of olive oil over medium heat. 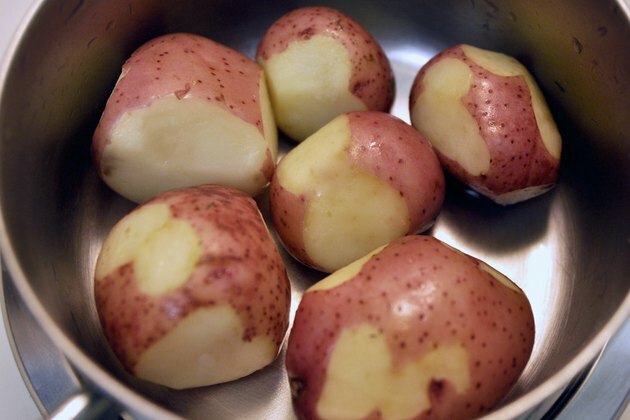 Slice the baby red potatoes into even thirds. Add 1 tsp. of minced garlic and ¼ cup of chopped onions to the skillet, if desired. 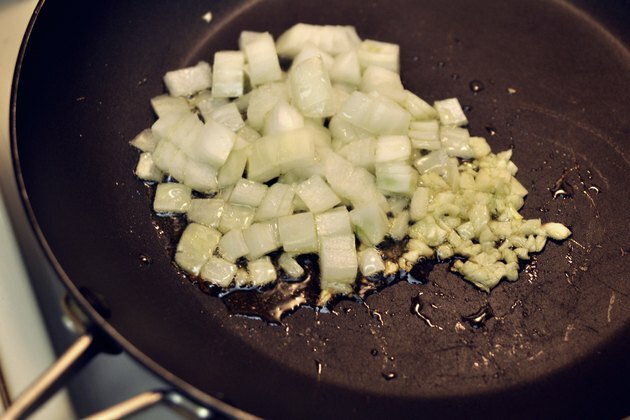 Saute the garlic and onions for 3 to 4 minutes. 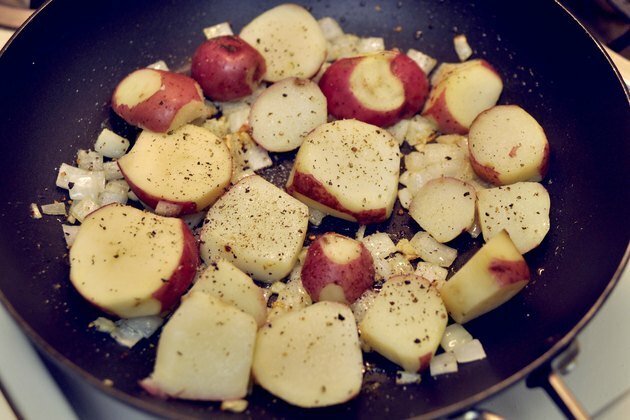 Add the sliced potatoes to the skillet and sprinkle with salt and pepper to taste. Season the baby red potatoes with 2 tsp. 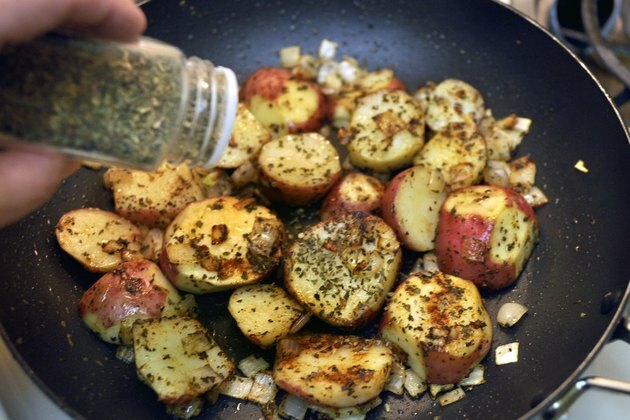 of dried herbs or spices, such as parsley, basil, rosemary or paprika, and toss the potatoes well to coat them. Saute the potatoes and onions for about 30 minutes, stirring them occasionally and adding 2 tsp. of olive oil as needed to keep the potatoes from sticking to the skillet. Cut the potatoes in half before boiling them. Sprinkle the cooked potatoes with grated Parmesan or Romano cheese.